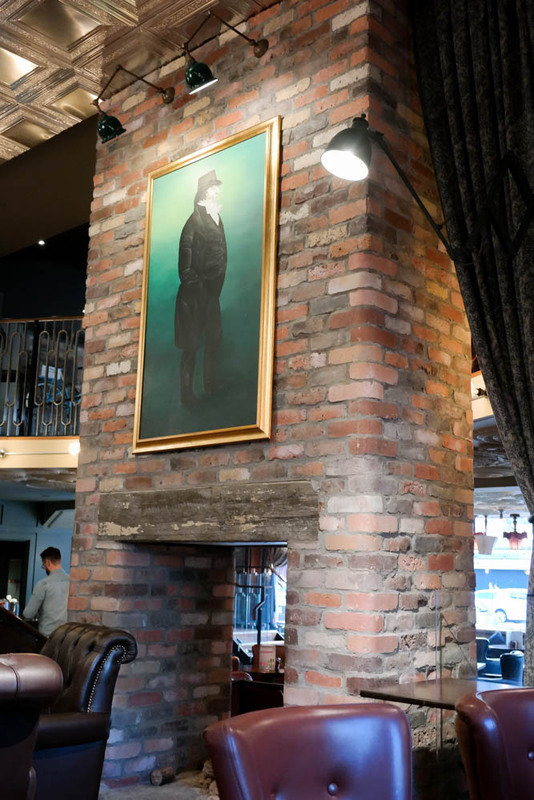 If you’re a Belfast local you will no doubt have heard that The Northern Whig relaunched a completely revamped bar and restaurant a few months ago. The Northern Whig is an iconic and historic building in Belfast City Centre. A favourite haunt of ours over the course of many years. OhhSocial arranged for us to visit and try their new menu and experience their new decor for ourselves. Join up to OhhSocial with us and you’ll get a years membership for £10! How can you beat that! 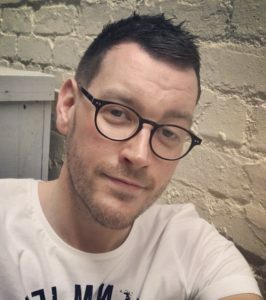 For anyone who has not heard of OhhSocial before this is a great new app which has arrived in Northern Ireland. Offering great discounts on Wine & Dine, Health & Beauty, Leisure & Attractions and Kids Activities. The selection is really huge. 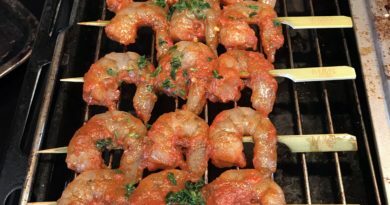 All their exclusive offers are buy one get one free on a multitude of different things in each location. All this for a simple fee of £18.99 for the rest of 2016. What a bargain! 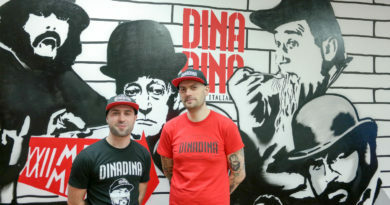 We’ve used it loads ourselves already, and saved more than the app cost on in one use and we’ll be showcasing some of the restaurants and locations over the next few weeks. 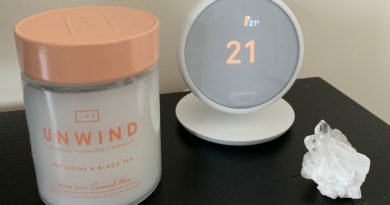 Are you ready to start saving? Download the app today. First we’ll start with the most obvious change to The Northern Whig, the decor. Anyone who has visited The Northern Whig in the past will most likely remember it looking quite dated but still sophisticated. The old building was beginning to show her age and needed a revamp. We were at first scared when we heard these plans as we didn’t want some developers coming in and completely removing anything historical about the building which people remembered. Thankfully our fears never came to fruition as the management have chosen the decor perfectly to fit with the buildings historical past. 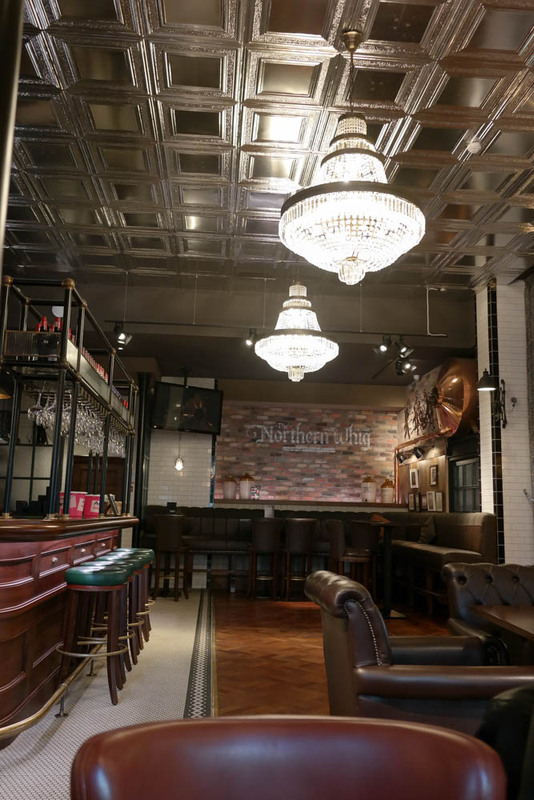 I would describe the decor as a lovely mix between warehouse chic and old fashioned glamour with shimmering chandeliers. Most importantly, it just feels comfortable and cosy with atmospheric live music. We visited on Sunday so were lucky to be able to choose from The Sunday Menu. 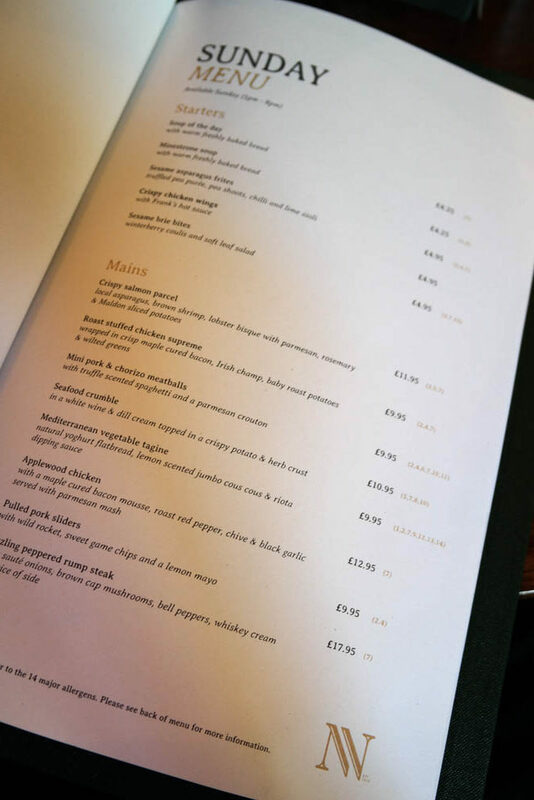 The items featured on the Sunday menu really are some of the best highlights of what’s on offer in the main menu. 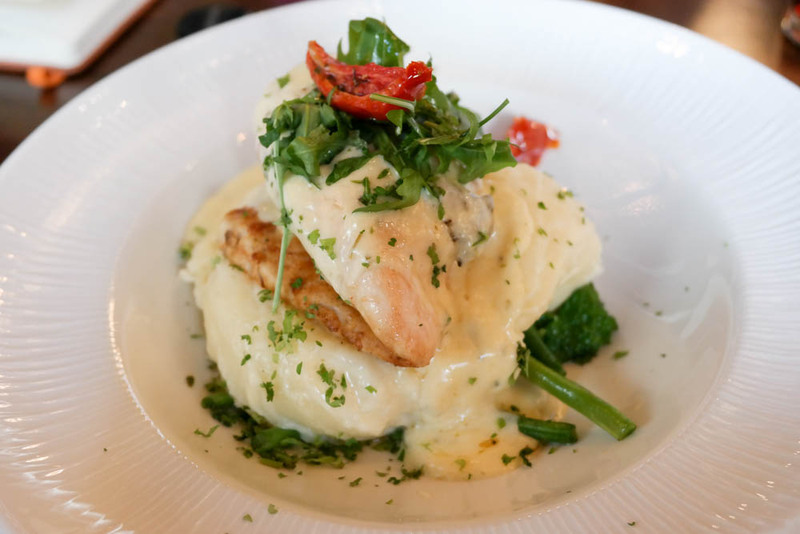 The head chef Rick Orr has a wealth of experience and knows what his customers want to see on the menu. We were not disappointed by the selection. For starter we opted for Sesame Asparagus Frites with truffled pea purée, pea shoots and chilli and lime aioli. 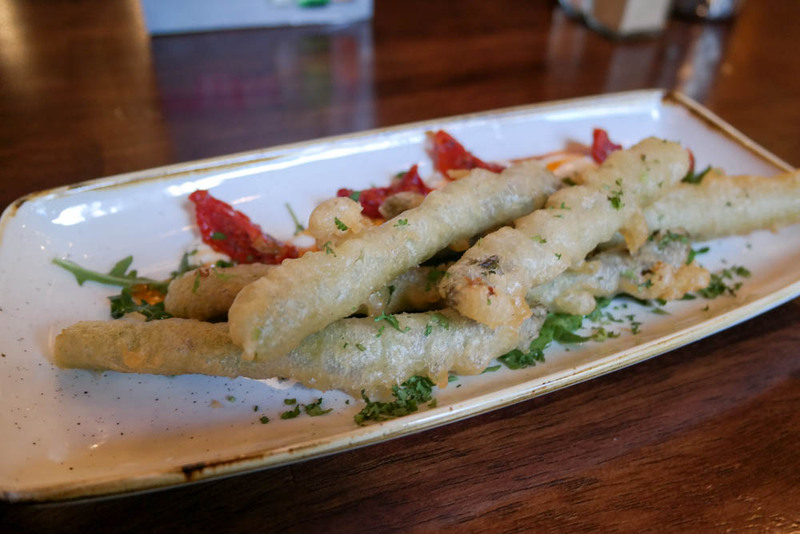 The asparagus was Al dente with beautiful light and crisp tempura batter. Every flavour in this dish complimented and worked perfectly with each other. This is a starter which I could make a main meal. For starter we also tried Sesame Brie Bites with winterberry coulis and soft leaf salad. The flavours also worked perfectly together. 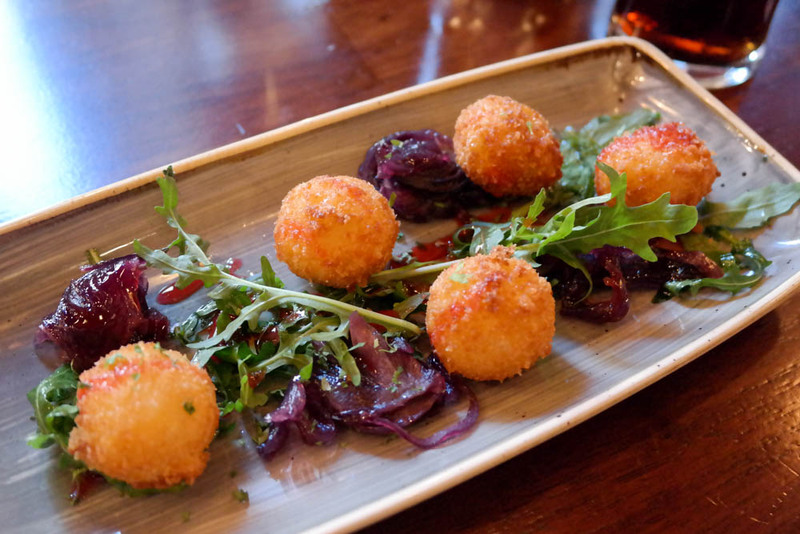 We always associate brie bites with autumn and winter so this fits perfectly into this new menu. For main I had Applewood Chicken with maple cured bacon mousse, roast red pepper, chive & black garlic served with parmesan mash. This, as the description suggests, was a meal packed with flavour. Everything was cooked to perfection. The Applewood chicken worked perfectly with the smokey flavour of the maple cured bacon mousse. It is nearly impossible to beat a good fish and chips. So we were excited to see that this also appeared on the menu. Going by the way things were going this was going to be an exciting take on fish and chips. 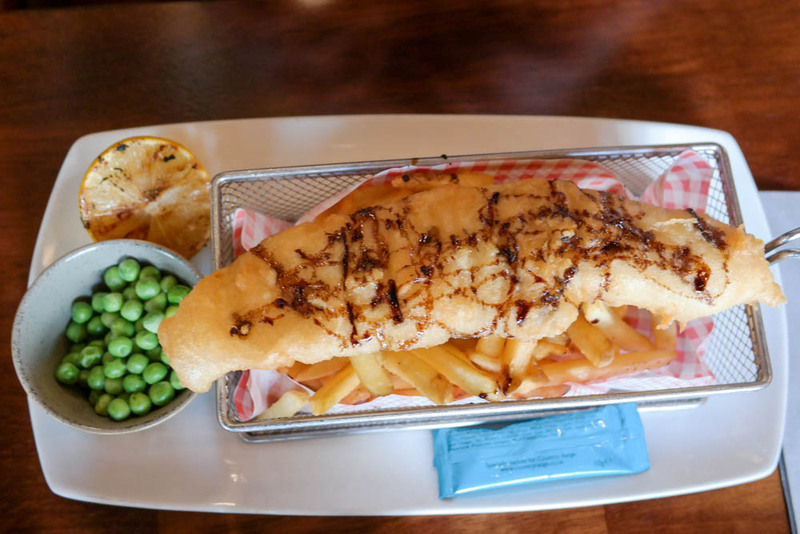 The Craft beer battered haddock served with sweet peas, hot lemon and balsamic with Malden salted home cut fries was just about as good as fish and chips can be. 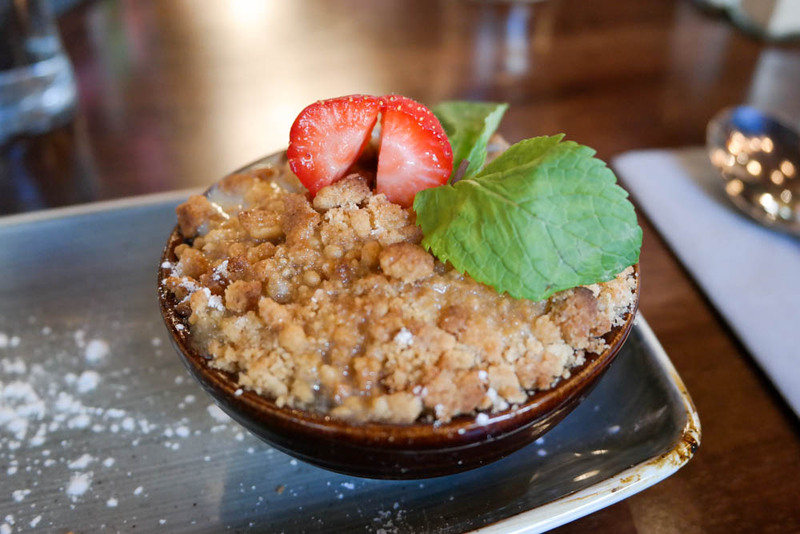 For dessert we chose to opt for the Armagh Apple Crumble with vanilla Anglaise, fresh vanilla ice cream. 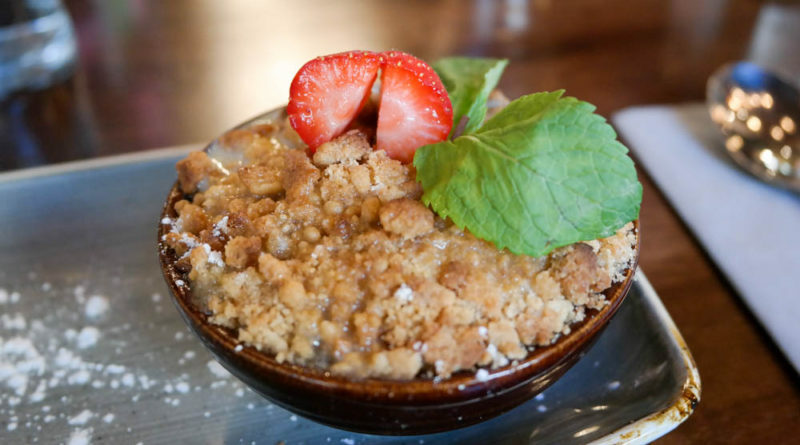 Apple crumble is my dessert of choice when it becomes cold outside. This was incredibly delicious and warming with a hint of cinnamon. 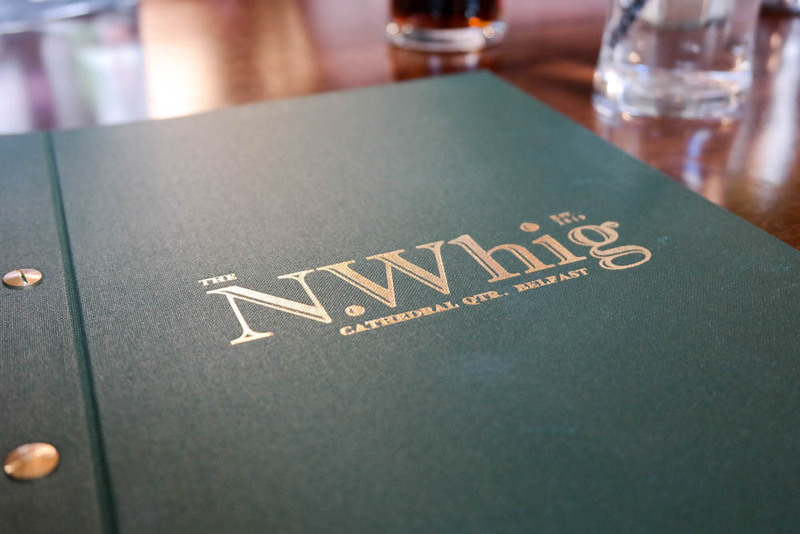 The newly revamped Northern Whig is a must visit location for any visitors to Belfast. We’re confident it will quickly become a favourite of both locals and the ever increasing amount of tourists visiting our wonderful city.